A three-volume set, plus supplement, on general Hinduism aimed at scholars, libraries, and others who want many facts on Hinduism at their fingertips. This is a massive set of three books on general Hinduism aimed at scholars, libraries, and others who want many facts on Hinduism at their fingertips. The books deal with religion, philosophy, mythology, rituals, scriptures, festivals, pilgrim centers, astrology, biographies of religious personalities, iconography, temples and religious institutions. Also dealt with briefly are Buddhism, Jainism, and Sikhism which are closely allied to Hinduism. Short biographies of the better known indologists have been added at the end as appendices. There are nearly 3,600 entries in the encyclopedia and each volume of the book contains nearly 700 pages and there several color pictures and line drawings. 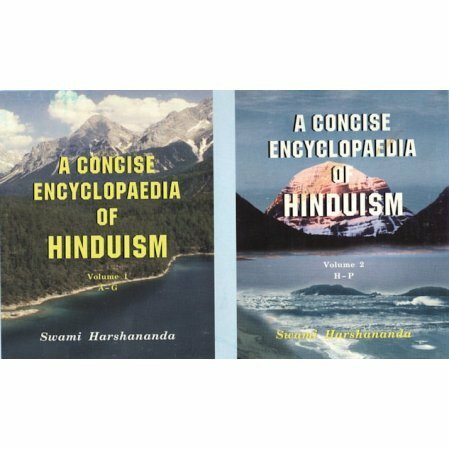 Swami Harshananda is the author of several books and it took nearly 33 years to research and compile A Concise Encyclopedia of Hinduism. Now includes an A to Z supplement as a 4th volume.